Every day more and more handy iPhone applications make their debut and it's almost impossible to keep up with all of them. Whether you're trying to map out the perfect run around Central Park, or simply just trying to find where you parked your car, there's an app for that. 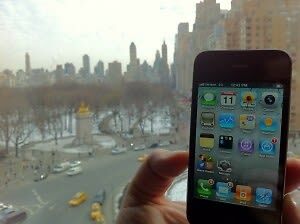 With the right apps on hand, life can become much easier for the average NYC resident.